Having been left out of the starting line-up in the last two games, Man Utd striker Romelu Lukaku might have a tough time getting back into the XI. That’s the opinion of ESPN pundit Craig Burley, who has questioned whether or not the Belgian international will be able to walk back into the side when Jose Mourinho believes he’s been able to regroup and get his confidence back. The 25-year-old has managed to score just four goals in 14 appearances so far this season, with his last goal coming way back on September 15. After being left on the bench against Everton last month, he wasn’t included in the squad at the weekend to face Bournemouth, with Mourinho confirming before the game that the Belgian international had picked up an injury problem. However, perhaps a mere coincidence or something more, United won both games without their frontman, and that in turn has led Burley to raise the question over Lukaku’s return. With Anthony Martial in fine form and Marcus Rashford bagging the winning goal against Bournemouth, that duo will hope to keep their places moving forward. 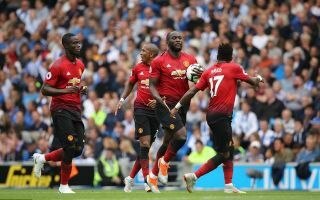 Further, Alexis Sanchez was instrumental in the first goal, and so if that trio can build chemistry and link up to good effect, it really will raise the question over whether or not Lukaku will be able to get back into the side in the near future. Given his attributes and quality, there is no doubt that he has a role to play at Man Utd moving forward, but if he can’t perform and others are making an impact, it’s only right Mourinho continues to leave him out.